Hi, my name is Buddy and I am here to tell you about an exciting opportunity. I have recently started working as an entrepreneur with Dark Shadow Enterprises and I am so excited about my experience that I want to share it with you. Dark Shadow Enterprises helps outgoing people distribute a new product known only as “Grimshovel.” I am looking for a few friends to come on board with me as we spur on the Grimshovel revolution. But upfront I want to say, don’t think of this as a pyramid scheme, think of this more as a multilevel marketing triangle. Now I know that you are probably wondering “What’s Grimshovel?” I’m so glad you asked. Grimshovel is a revolutionary product that you can’t get anywhere but Dark Shadow Enterprises. Discovered by scientists in our subterranean nuclear lab, Grimshovel is the all in one lifestyle product. Each morning a Grimshovel will be delivered to your front door. Upon waking at the proper hour, you will go outside and retrieve your Grimshovel. You will then take your Grimshovel to the back of your home, bury it in the dirt, and return to your regularly scheduled life. The next morning you will receive another Grimshovel, and so on and so on. Each day, you will be in charge of burying your Grimshovel. All entrepreneurs under the Dark Shadow Enterprises brand name must participate in the burial to be counted amongst the chosen. Now, here is the exciting part. This is what separates this from a weird morning ritual and turns it into a money making machine. Each entrepreneur in our organization has the opportunity to bury more Grimshovels each day by buying additional Grimshovels to then sell and distribute to friends, neighbors, and relatives. You will buy the Grimshovels from us full price and then sell them to your friends. Your friends then can bury Grimshovels under your umbrella. Or, they can sell more Grimshovels bought by you to their friends. You will receive a cut of those sales, of course. That’s how triangles work. The final and best part of working for Dark Shadow Enterprises is definitely the incentives. Each day, the Chairman posts the global rankings of each Dark Shadow employee and Grimshovel distributor. The top entrepreneurs on this list receive coveted incentives and perks for their dedication to the Enterprise. I hear that last year Cori Chapman sold over a million Grimshovels and was awarded the incentive of eternal life. Rumors claim that Monica Dilworth won a lifetime supply of health potions for a record breaking performance in July. I’m just starting out, but I already won a cool branded t-shirt and sunglasses, so I’m not complaining. Reach out to me if you want to participate in this life-changing movement. 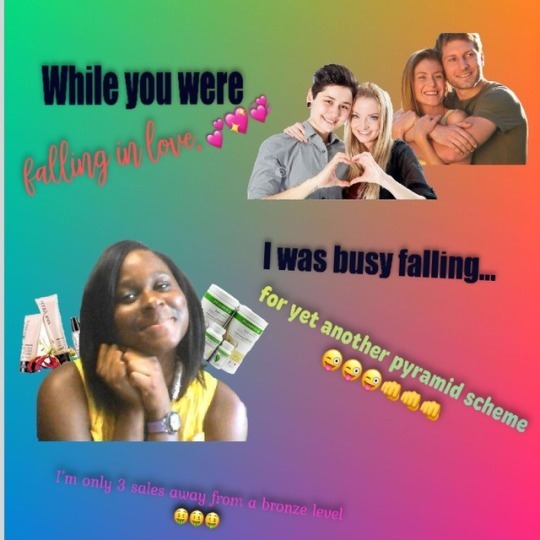 You will definitely want to get in on this early, because multilevel marketing triangles only truly work out for those up the slope. I mean, up a few levels. Don’t wait! This article was written by Nathan Ellwood, who would like to thank this image for inspiration. Follow him for more multilevel marketing triangle tips on Twitter @NPEllwood. Previous Where Did the Sun Go? Has Anyone Seen It?